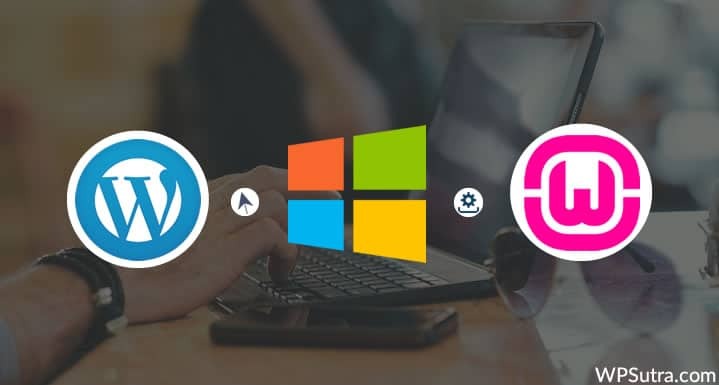 Do you know that you can install WordPress on your Windows computer and learn WordPress from scratch? 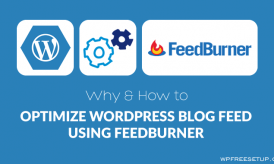 WordPress is an open-source software which means it is completely free to use, and you can easily start your blog or website on WordPress in a matter of minutes. You will find lots of free themes and plugins available for WordPress which makes it easy to customize and stylize any way you want. Working with WordPress locally is useful & fun, as it helps to test plugins, themes, updates, and other website changes on your localhost before making them live to your audience. This means you can always test a plugin or fix theme issues before they affect your users. 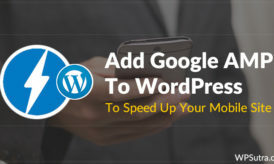 Often, theme designers and plugin developers use WordPress on their local environment to speed up their development process. 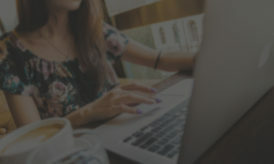 If you are a beginner and want to learn WordPress from scratch, then you can easily install WordPress on your local computer either using WAMP or XAMPP. Note: When you install WordPress locally on Windows, only you can see your website. If you want to create a blog on WordPress that is available to the public, you need to have a domain name and web hosting. I have already covered the guide to install WordPress locally using XAMPP. 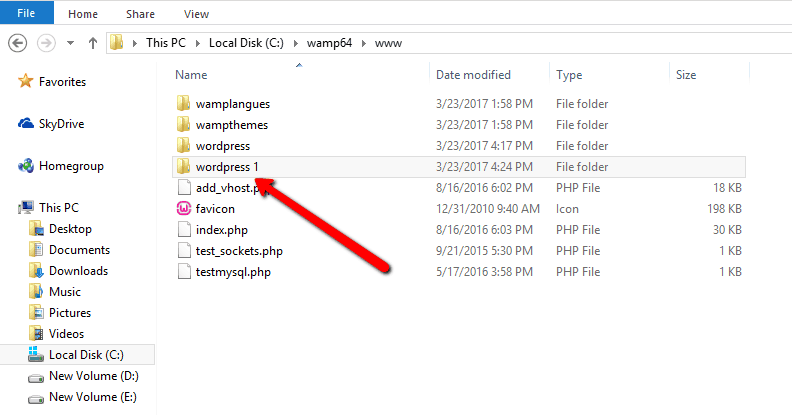 In this tutorial, I will guide you on how to install WordPress using WAMP. 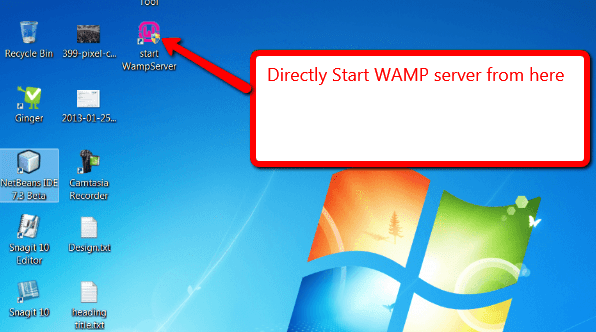 How to download and install WAMP on your computer. How to set up the MySQL database. 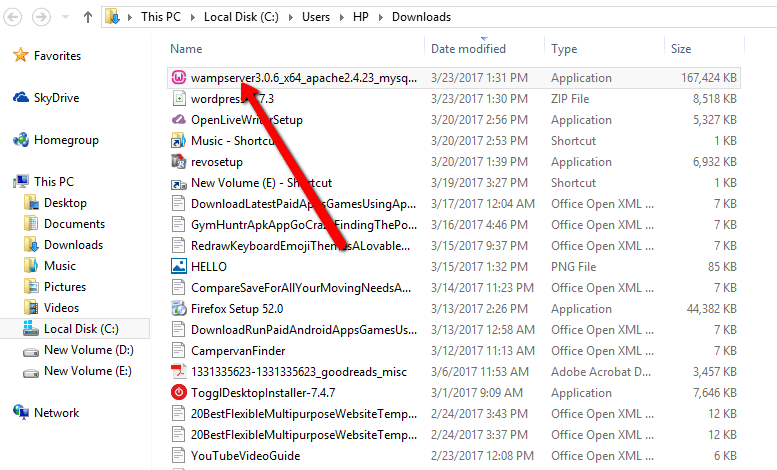 How to download and install WordPress on WAMP. Goal: To install WordPress on your local machine using WAMP. Go to the WAMPServer website and download the latest WAMPServer. 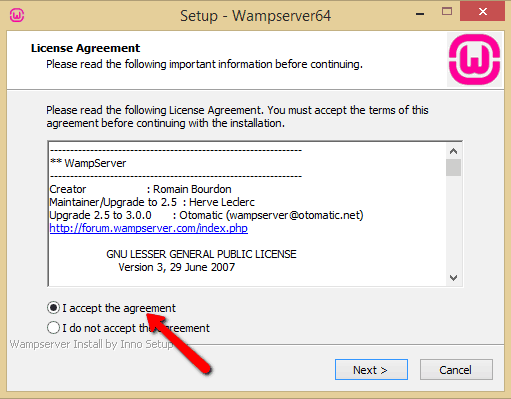 You will see various options on the download page like WAMPServer 64-bits and WAMPServer 32-bits. Choose the one that applies to your Windows (64-bit or 32-bit). If you are in doubt, download the 32-bit version as it will also work on Windows 64-bit as well. 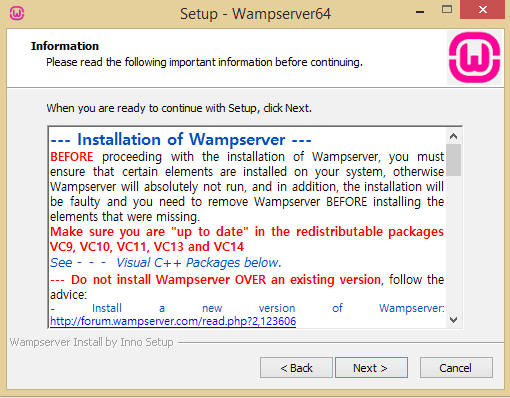 Here, I’m going with WAMPServer 64-bit. 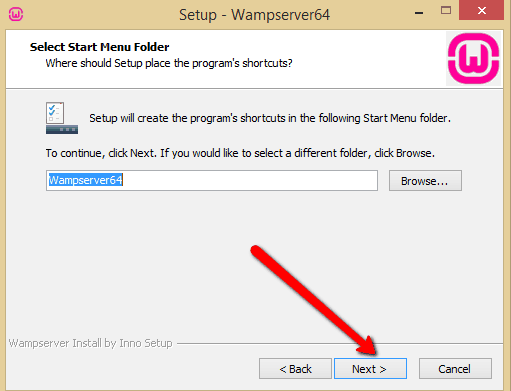 Once the WAMPServer is downloaded, run the setup file and follow the on-screen instructions carefully. 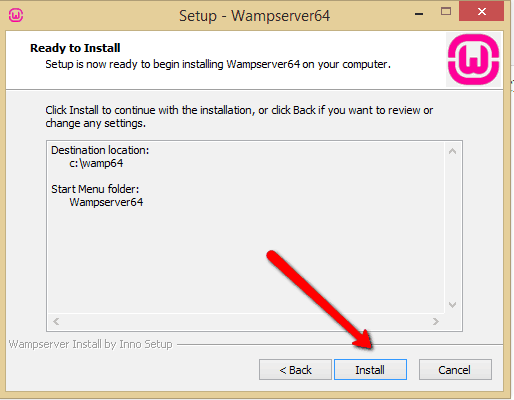 The WAMP setup will ask you to make necessary changes to your PC. Click Yes to proceed further. 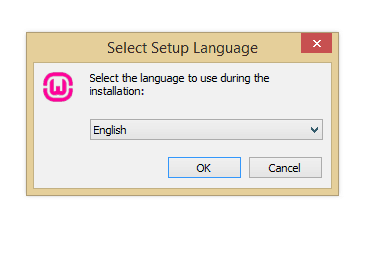 Select the language to use during WAMP installation and click OK. 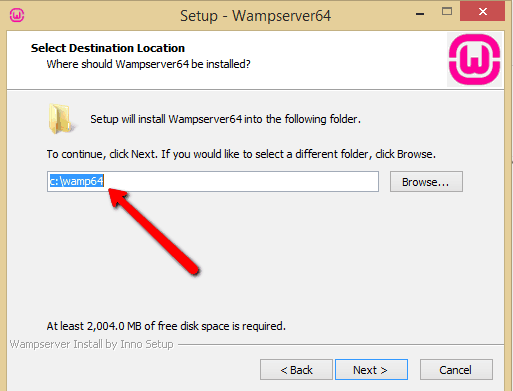 Select the destination folder where you want to install WAMP. By default, WAMP installs to C drive. Click on Next to continue further. It will ask you to create WAMP shortcut. Click on Next to proceed further. This will install the WAMPServer on your computer. By default, WAMP uses Internet Explorer, but you can change it to Google Chrome or Mozilla Firefox. 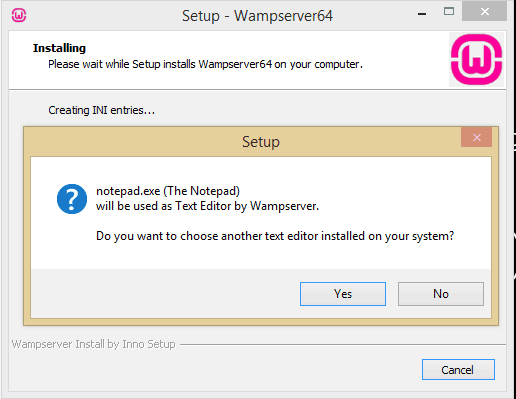 Next, it will ask you for WAMP to use Notepad as the default text editor. Click Yes to continue, or if you want to change it, click No. 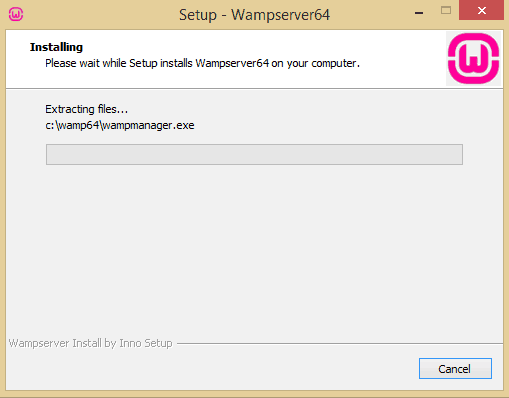 Once the installation is complete, launch the WAMPServer. Just double click the WAMP icon on your desktop. You will see that the WAMP icon has turned to green from red, which means WAMP is activated. 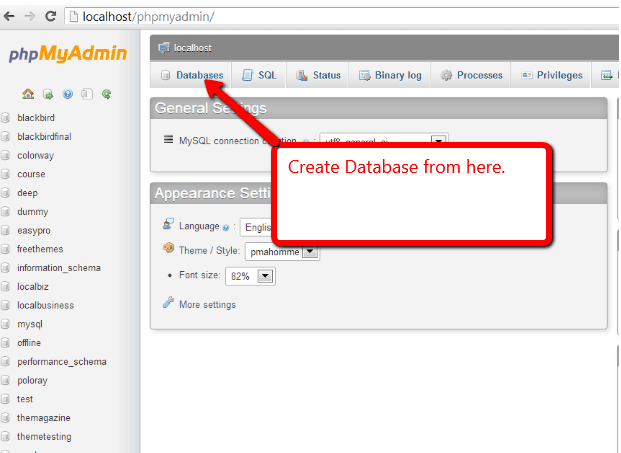 Type- http://localhost/phpmyadmin in your web browser and create a database. You will be asked to choose a name for your database (I have named mine “table”). After that click on Create. 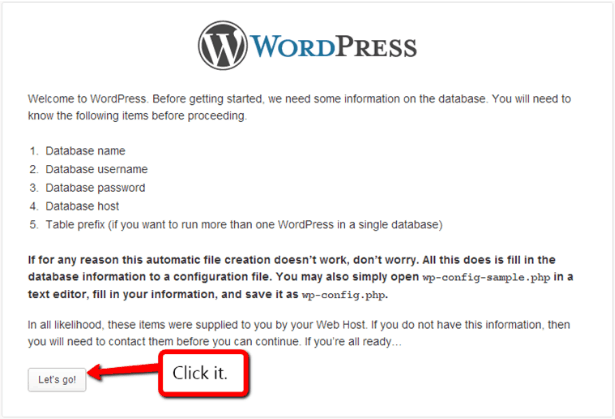 Extract the zip file and copy the WordPress folder. 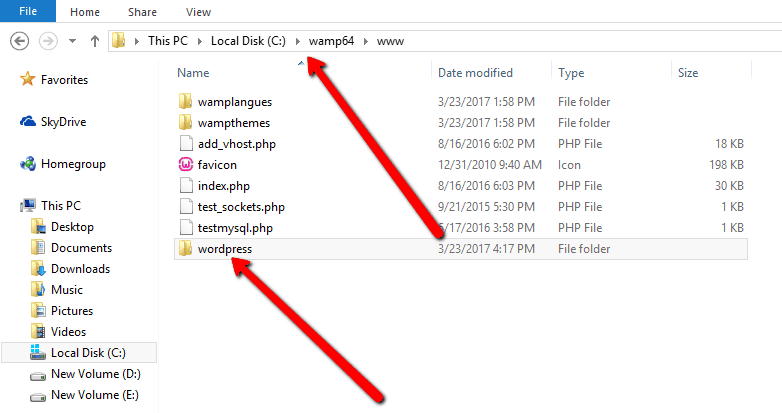 Go to the folder where you installed WAMP, which in this case is C:\wamp64\www and paste the WordPress folder there. Rename the WordPress folder to anything that you want. This will be the URL of your WordPress local site so choose something that you can remember easily. In this case, I have renamed mine to “wordpress1”. Open your web browser and go to http://localhost/wordpress1 (or whatever yours is named). Note: This is required before you install WordPress on your machine. Next, it will show you some information to set up your database. Click on Let’s go! to proceed further. Once done, click on Submit to run the setup. Next, it will ask you basic information about your website like site title, email, username, password, etc. to work on the local environment. 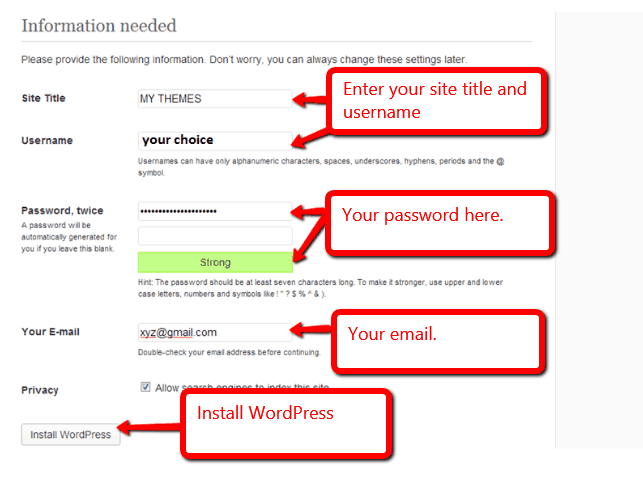 Enter the details and click on Install WordPress. This will run the WordPress installation and create database tables. Once complete, you will get a success message. 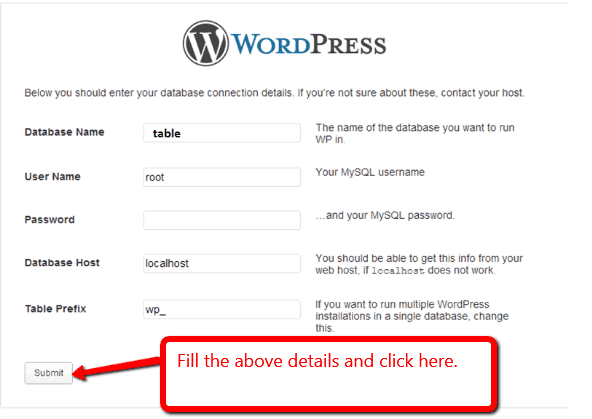 Click on Log In and proceed to your WordPress website. Bingo! You have now successfully installed WordPress on your computer and now you are all set to play around with its features. Below, I have covered some additional notes that might help you. Troubleshooting WAMP Skype Error: If you are using and running Skype on your computer, then you might find it difficult to use WAMPServer as it conflicts with Skype. The conflict happens because both Apache and Skype use the same port – 80. Don’t worry, though. There is a simple fix. 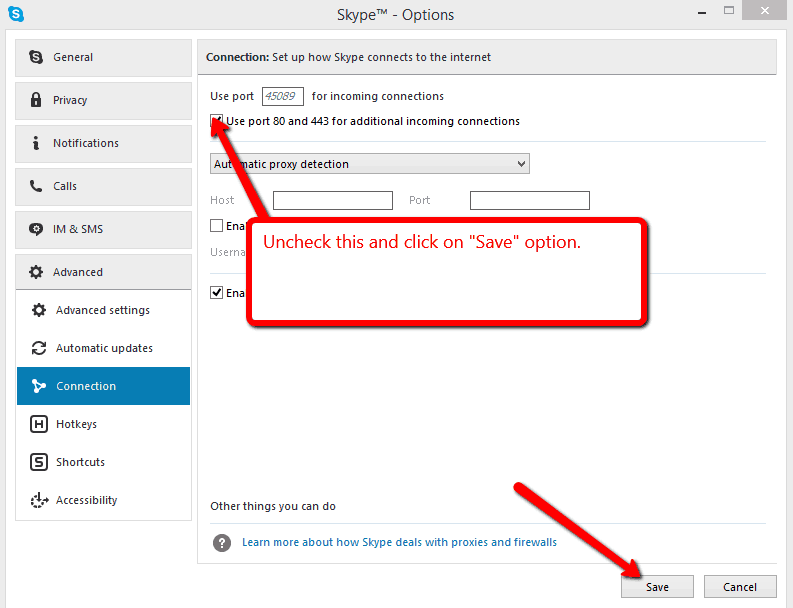 Just open Skype and go to Tools >> Options >> Advanced >> Connections and uncheck the box that says- Use port 80 and 443 as alternatives for incoming connections. Once done, save the options and restart Skype. 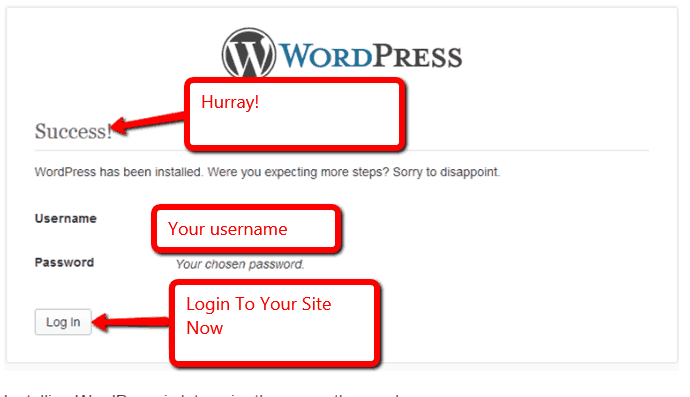 I hope the above steps will help you successfully install WordPress on your local machine using WAMP. In case you are using a MAC, you can follow the guide below and install WordPress on your MAC using MAMP. If you have any questions or need any help regarding this tutorial, do let me know in the comments section below, and I will be happy to help you. If you like this tutorial, do share it with your friends and colleagues. Thank you for the easy to follow instructions. I now managed to download my live site to my local computer so I can play around with the design and try out plugins and things like that. Is it possible to keep my live site and my local installation in sync in an easy way? It’s the great article and very easy to follow which I was looking for. But, there one doubt in my mind. Do I need to update WordPress manually every time if needed?